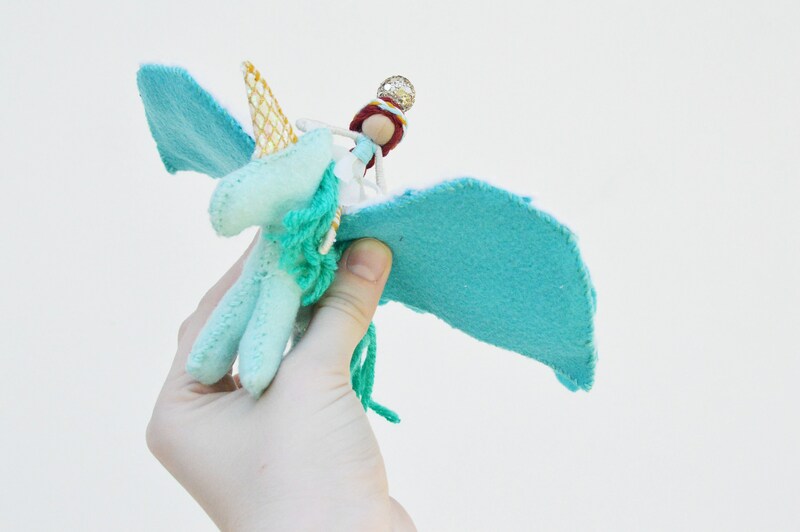 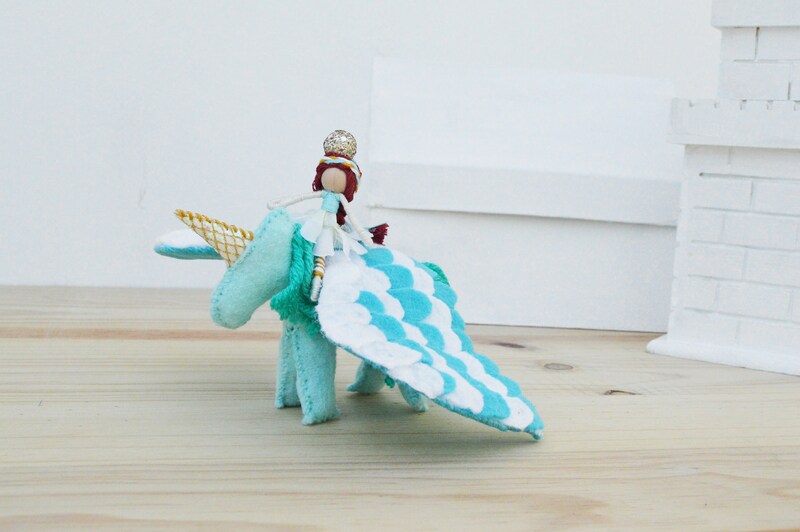 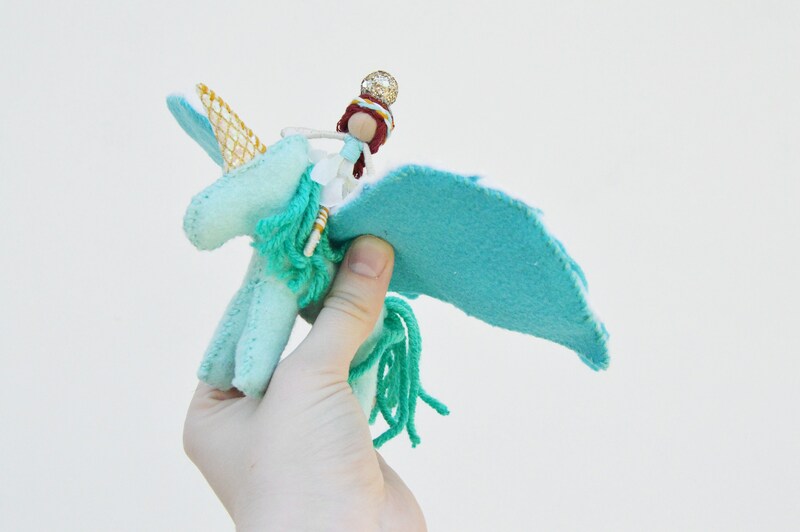 Meet Magnificent the felt unicorn and Maddie the miniature fairy doll, waldorf toys ready for a fairytale adventure! 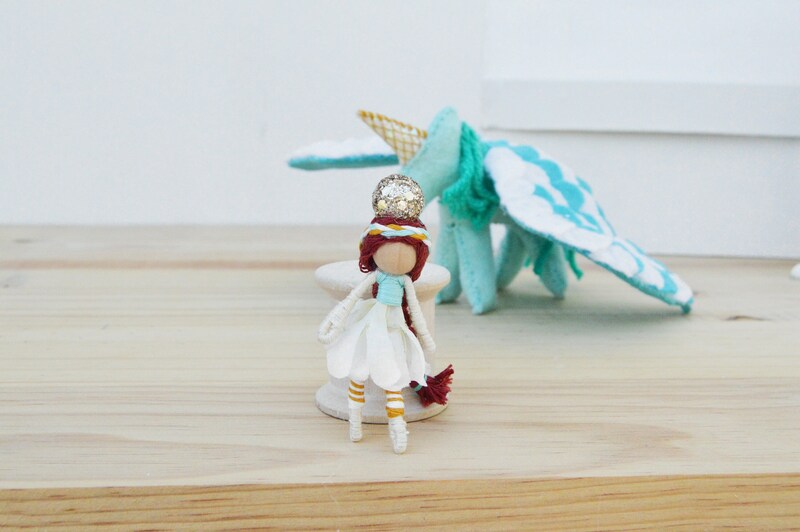 - Maddiethe fairy stands 2 inches high. 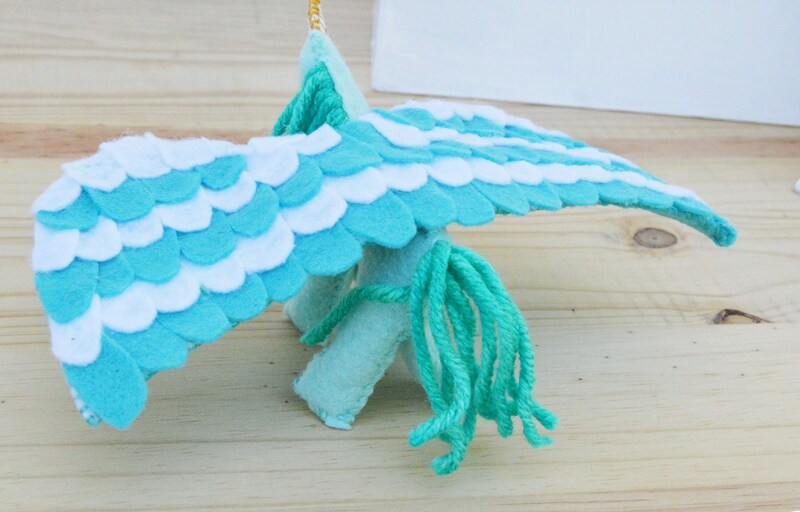 - Dressed in: white, gold, and teal. 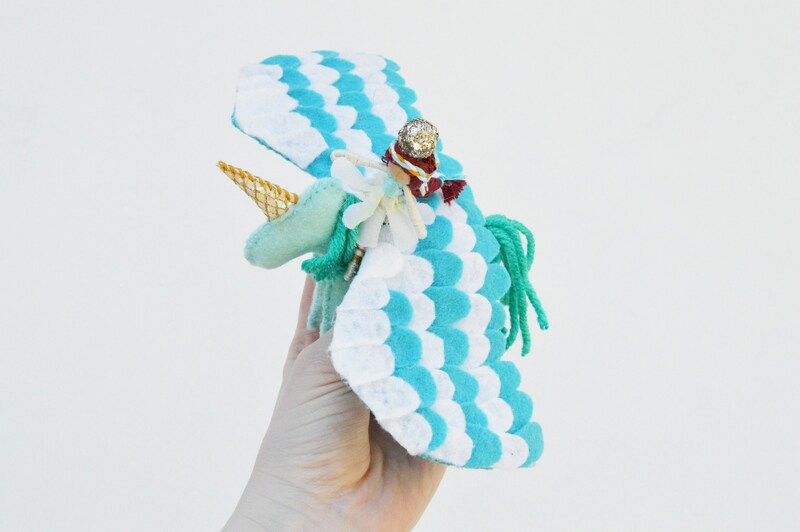 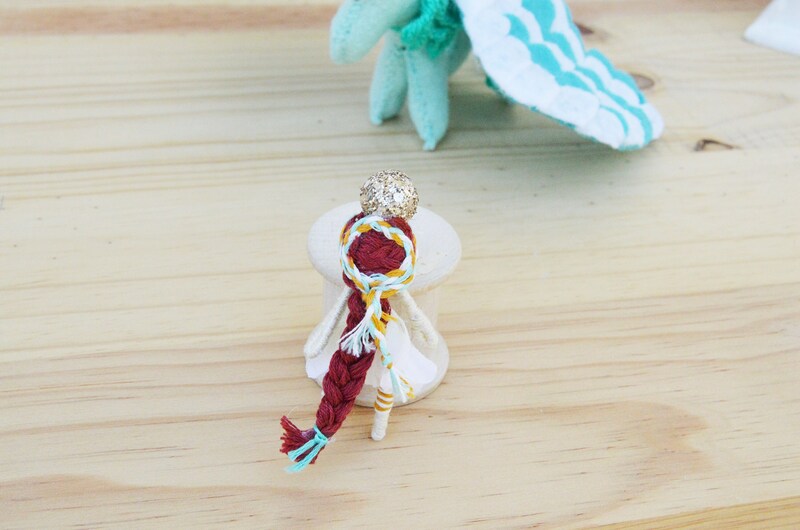 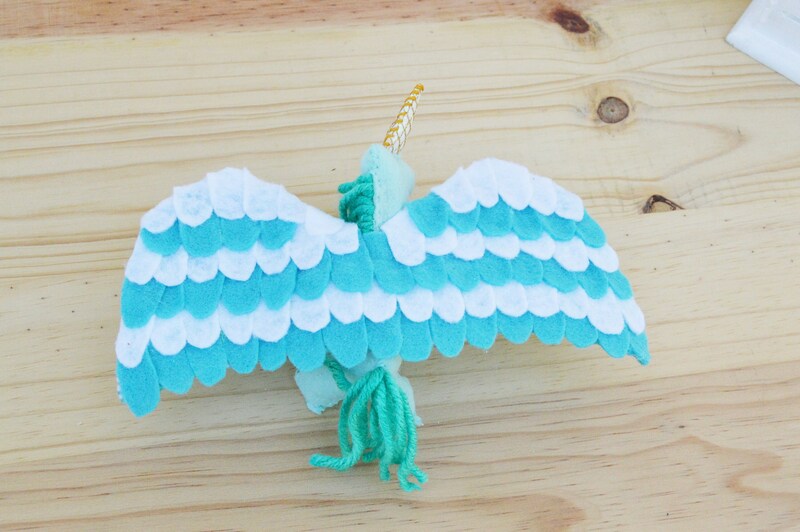 - Magnificent the Unicorn stands 3 inches high, 4 inches long, and her wingspan is 6 inches. 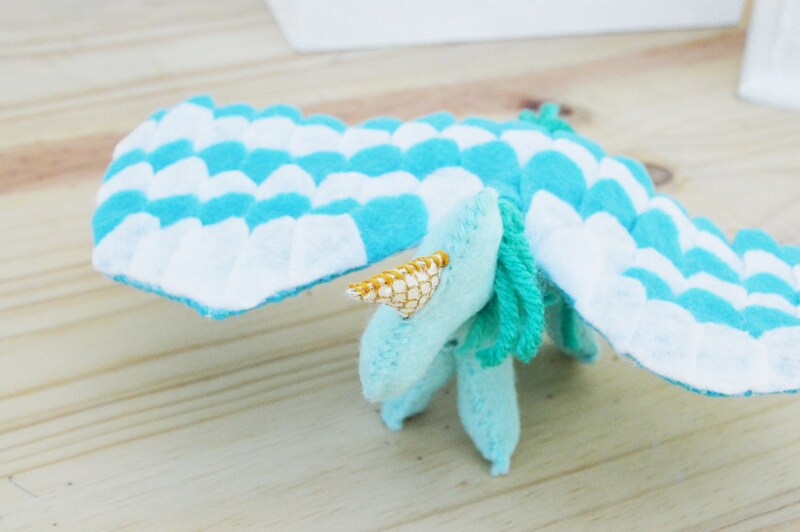 - Colors used in: white, teal, and mint. 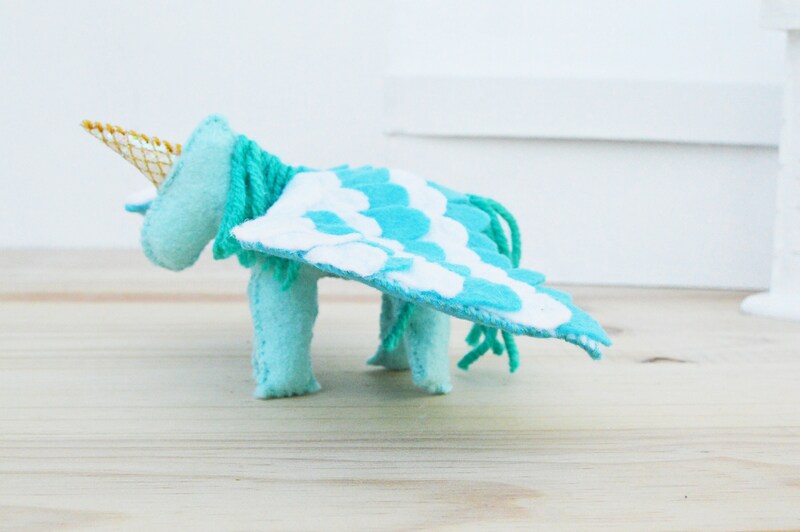 - Materials used: polyester felt and cotton floss and polyester yarn.